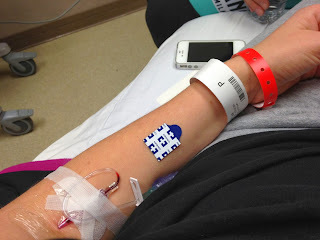 I had a little episode over the weekend that ended up with me in the ER and getting to spend the night in the hospital. I'm a little behind on my Christmas crafting, journaling, and decorating but I'm taking it slow and will hopefully get caught up soon. We have bad weather coming in for the next two days so I think I'll have a chance to do a few things around here - with plenty of time to rest too. Lisa, I hope you are on the road to recovery! Thank you for the comment on the Photoshop tutorials. I have to say, I have been addicted to digital scrapbooking and it is sometimes very difficult to go back to traditional scrapbooking. Wishing you a wonderful Christmas! oh no LIsa! how did I miss this!? I hope youre ok and nothing too serious is going on with your health. come back and let us know that youre alright and back christmas fun preparations! Yikes what happened? I hope you're 100% better now and that you managed to have a nice Christmas! All the best in 2014! Stay warm!